Acting is one of the toughest professions in the world and only a handful of lucky, talented individuals ever make it to the top in the business. Luckily, many people succeed in getting on the acting ladder, and sometimes become A-listers later in their careers after gaining stardom from a successful series – Chris Pratt is a prime example of someone who has done this recently. Here we take a look at some of the factors that lead to success and also examine the careers of people who have made it. What Factors Help People Become Successful Actors? Although many actors in the industry are working to counter it, there is a clear link between a person’s economic background and their chances of success as an actor. The likes of Sir Ian McKellen, Julie Walters and Christopher Eccleston have recently denounced an economic shift they believe excludes potential actors from the profession, according to The Guardian. It has been found that 73 percent of British actors are from middle-class backgrounds, and have been able to study at acting schools where there are hefty fees. There have been a number of Oscar-winning actors from top universities such as Yale and Cambridge. Budding actors need to be able to attend the right social events to network in the competitive industry, and should also have access to places like Broadway and London’s West End. Youth and attractiveness are two important qualities to help actors get into the business. According to Forbes, research has shown that most famous people achieve fame by the age of 29, but the average Academy Award nomination for male actors is 43.4 years old. This shows how once actors are on the ladder, it takes them a while to be considered among the best in the business. It also correlates with research from Betway, which found that winners in various fields had been in their profession for an average of 13 years prior to receiving an award. Managing to get into the industry is one thing, but rising to the top appears to be an even bigger challenge. So how did some of the most famous people get there? How did Some of the Biggest Names Make it? Leonardo DiCaprio is a prime example of an actor who got into the industry at a young age and whose good looks helped him climb the ladder. From early on, the Los Angeles-born actor appeared in television commercials and series. His earliest role was in 1990 when he got a small part on the television adaptation of Parenthood. 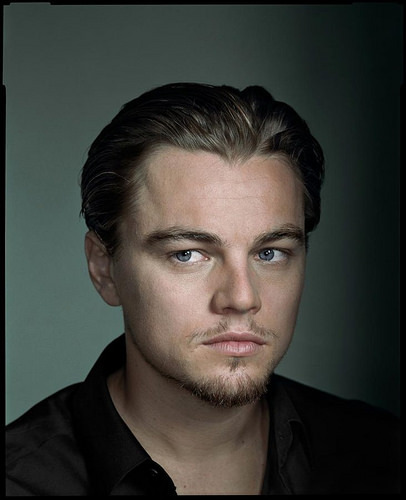 Soon after that, DiCaprio played small parts in The New Lassie and Roseanne. It didn’t take long for the Academy Award winner to gain attention from these television performances, and DiCaprio was cast in his first film in 1991 - Critters 3. Robert De Niro then picked him for the starring role in This Boy’s Life the following year. After this, the 43-year-old’s career went from strength to strength, and he achieved mainstream success in Baz Luhrmann’s Romeo + Juliet - one of many adaptations - shortly followed by James Cameron’s Titanic. DiCaprio did take a while to win his first Oscar, though, which fits with the research mentioned above. He picked up the Academy Award for Best Actor in 2016 at the age of 41, for his amazing performance in Alejandro G. Inarritu’s The Revenant. Samuel L. Jackson is one of the best-known and highest-paid actors in the world, but it took the Avengers star a long time to get recognised by the big wigs in Hollywood. Now an undisputed A-lister, Jackson only got his first major role in Quentin Tarantino’s Pulp Fiction in 1994. Prior to that, the Washington-born actor had appeared in multiple independent films, as well as supporting parts in films like Jurassic Park. But it was his turn in Tarantino’s picture which led to him becoming one of the most sought-after actors in Hollywood. Since then, Jackson has starred in over 100 movies. Did Anyone Just Stumble Into the Industry? Of course, there are a few lucky individuals who buck the trend and manage to stumble into the profession without going through the years of trying and failing. Johnny Depp is one of the best-known and most respected actors in the world now, but he originally never had any intention of getting into the business. Initially, the Pirates of the Caribbean star wanted to pursue a career in music. But when he was introduced by chance to Nicholas Cage, the Con Air man told Depp he should get into acting. Depp appeared in A Nightmare on Elm Street and Platoon in the 1980s, and then earnt his credentials as a skilled actor in Tim Burton’s Edward Scissorhands in 1990. The rest is history. Other actors to have gained success in the business without ever meaning to include Charlize Theron, who originally wanted to be a dancer, and Channing Tatum, who started out as a model and a stripper. There are numerous ways to get recognised in the acting industry, but in general, it takes years of hard work and dedication. Those who want to break into Hollywood need to take on as many roles as possible and hope that at some point somebody important is watching.